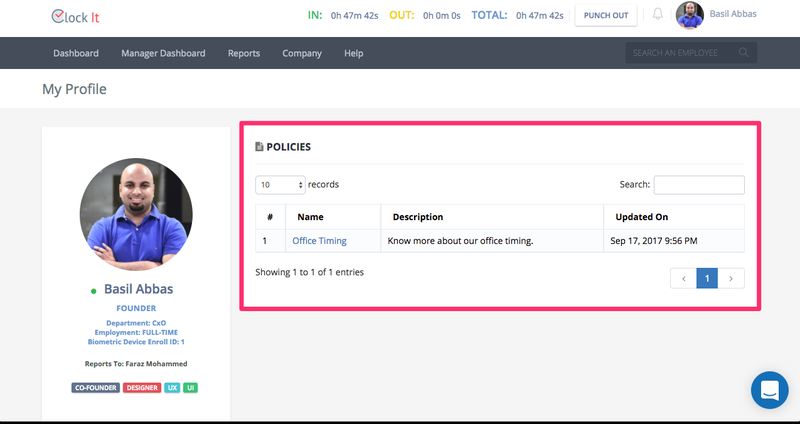 Know more about policies and how to centralise all your company policy documents in one central location. A company policy is a document that contains rules and regulations that employees much follow. 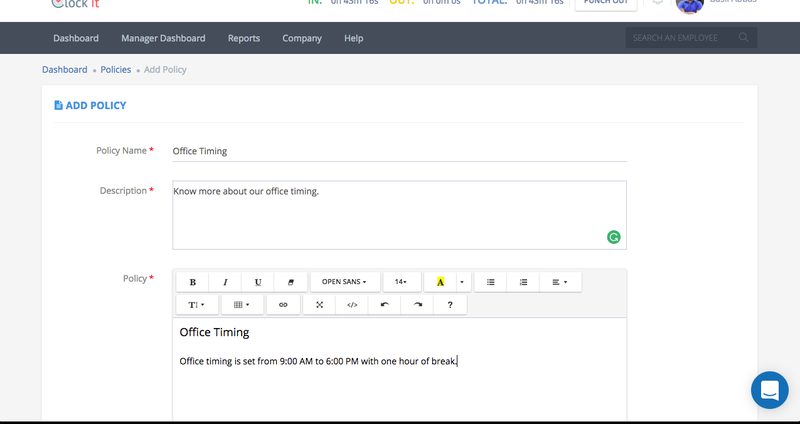 For Example: Vacation policies, Time rounding policies, Work duration policies etc. 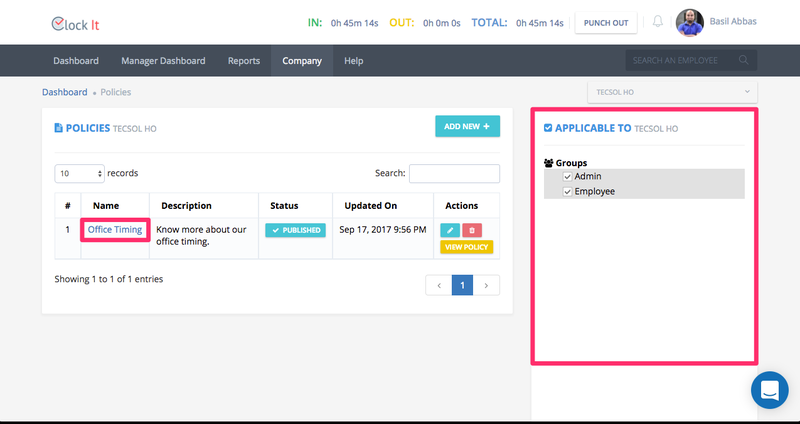 You will need to create all your policies using our HTML5 rich editor and then specify which groups will have access to these policies. 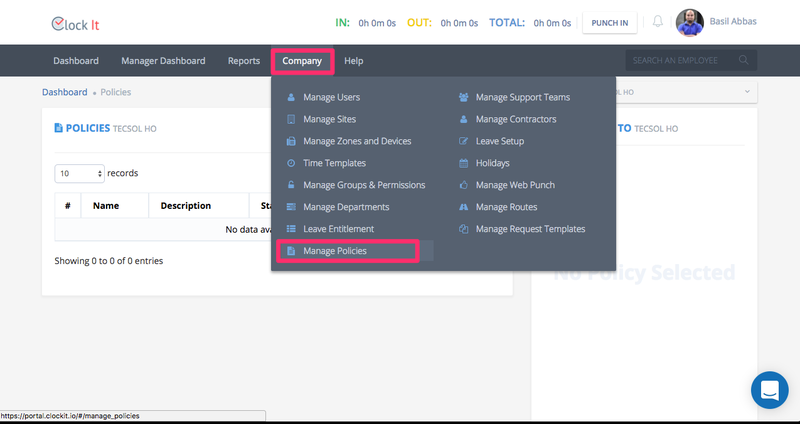 To manage policies go to Company > Manage Policies. Note you will need this permission to Manage Policies from the Groups and Permissions. Know more about Groups and Permissions. 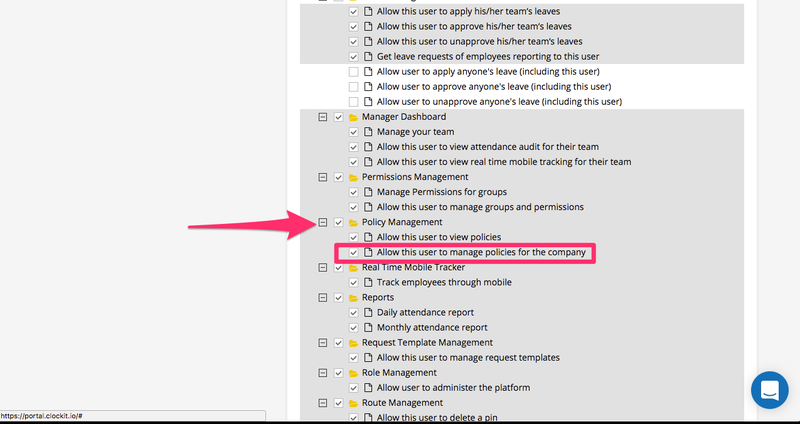 Policy Management > Allow this user to manage policies for the company. If you would like your users to have access to the policies that you have created, you will need to allow users to view policies. Policy Management >Allow this user to view policies. Policies are site based. 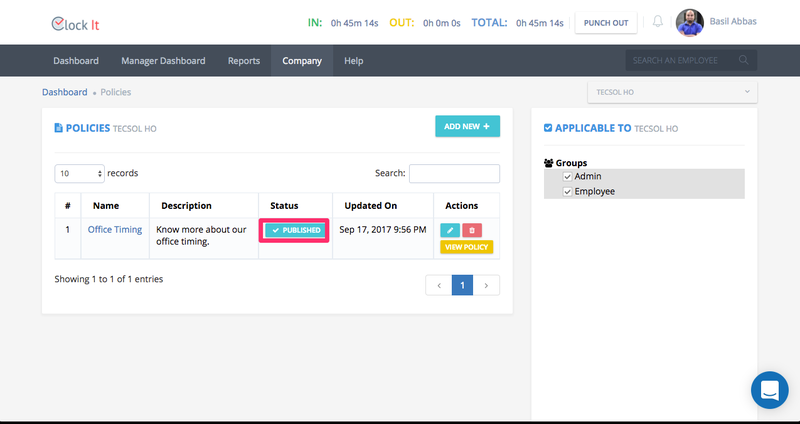 This means that you can have different policies for different sites and each policy can be assigned group wise. 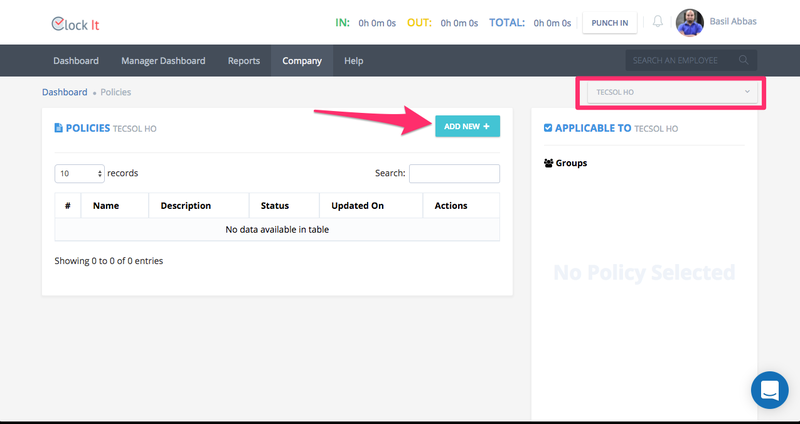 To create a policy select your site and then select create new. Give your policy a name, a description and enter your policy in the policy section. You can use rich formatting or simply copy-paste if you already have a file. Once done editing, you can click on save. Assign the policy to groups. By default a newly create policy will be assigned to all groups. To view the groups that have access, click on the policy and you should see the groups on the right side. By default when you save the policy it will be published. To unpublish click on the status button. Once published all users will be able to see the policy under their profile.